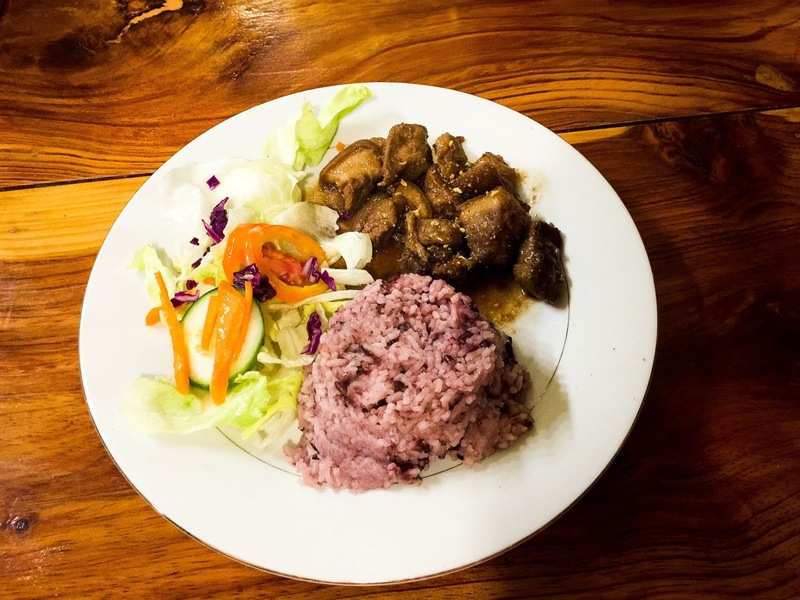 Sagada is not all about outdoor adventure but is starting to become a foodie destination. 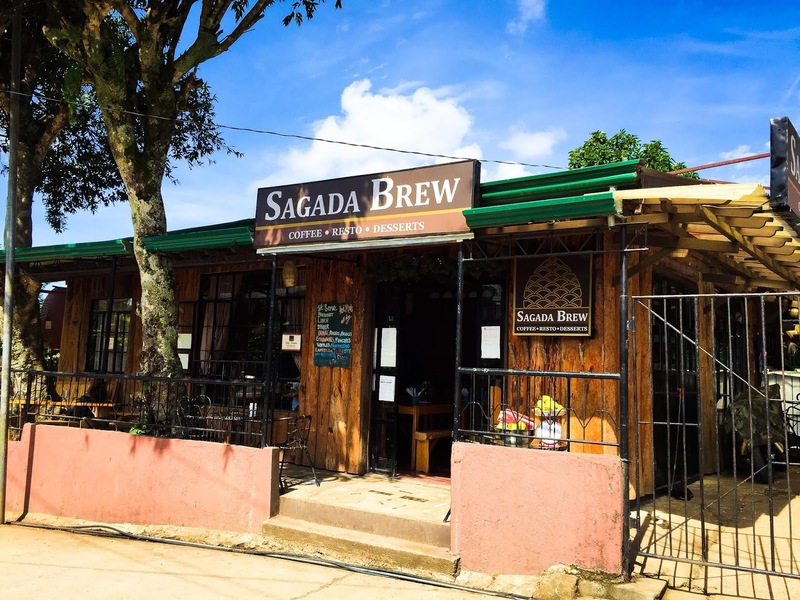 Surprisingly for such a small town, we found a good number of restaurants and cafes, most of which are located along South Road, the busiest area in Sagada. We went here on a Saturday for lunch so as expected, the place was full. Luckily a group had just checked out so we instantly got a table. 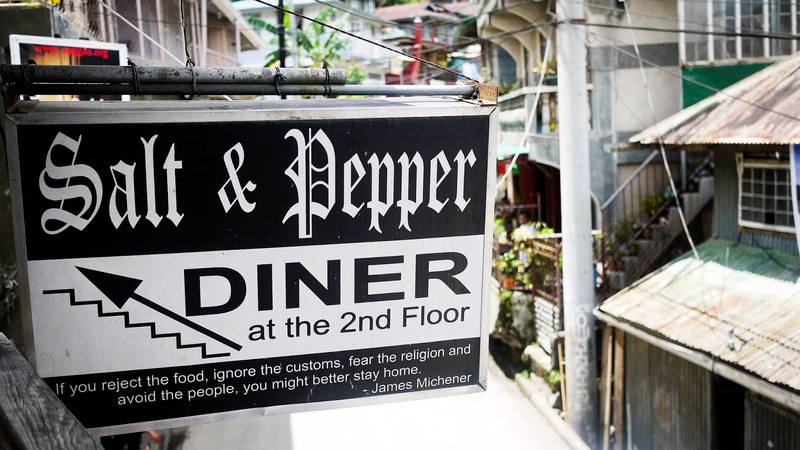 We tried their Pepper Steak, Mushroom Inutom, Chopsuey. *I had to commend the staff of Salt & Pepper for safekeeping our GoPro camera which my hubby accidentally left at their counter. We were already about to enter Lumiang Cave when we realized it had been missing for about an hour. We came here on a Saturday night, an hour before their closing time and the place was still full. While we were looking for a table, my friends lined up at the counter to order. However, it took several minutes before somebody turned up. What's worse, almost all of their dishes were out so we had to settle for what's available. Hubby and I ordered Adobo and Bulalo. While my friends had Beef Burger Steak and Sandwich. I cannot remember if they still have the same menu as the ones I see posted on blogs and if yes, then we didn't get any dessert which should be included in the set meal. The last order of their famous Lava Cake was served to the guests who came before us so we weren't able to try it. We all agreed that their salad is good. And of course serving red rice is a plus. Pa-healthy tayo eh. Aside from serving food, the place is also a souvenir shop. 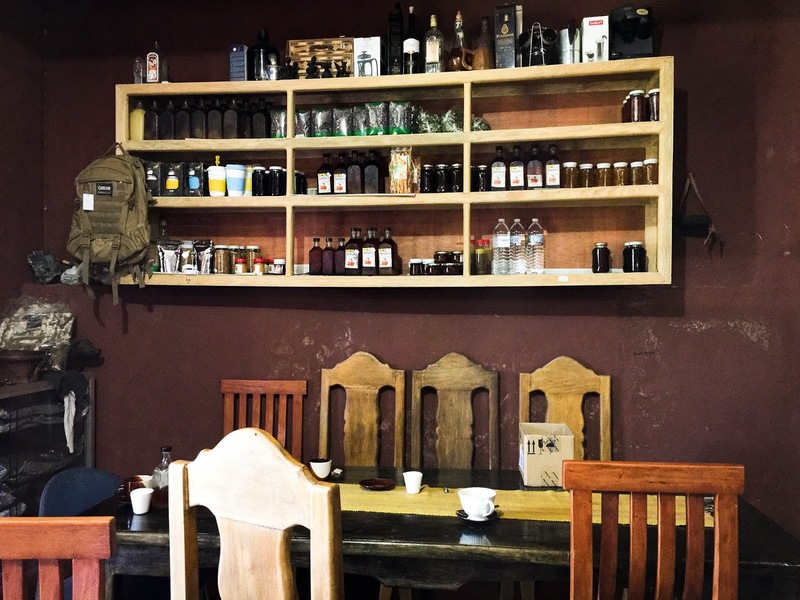 They have honey, jams, and their own coffee. Their coffee is also being sold at other shops but it is cheaper if you buy directly from them. You know that their coffee is still freshly roasted because the aroma stayed even after a few days. Their civet coffee (priced at 200 per cup) is good but even the premium coffee (75 per cup) on their menu tastes good as well. Nothing fancy about their breakfast menu but it was good. We came here on a Sunday for our late lunch hoping to try their Lamb Chops but a wedding reception was held the day before so they ran out of all their steaks and just offered us pizza. 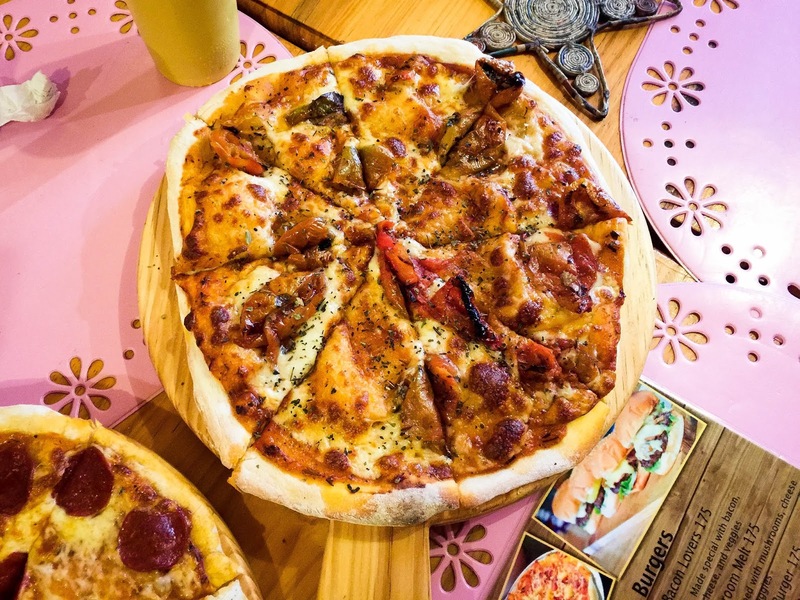 The pizza dough is made from scratch so the staff told us that our orders would take a while to be served. We ordered Margherita, Trio Formaggi, and Pepperoni. Serving is enough for the 7 of us and the pizzas were really good. For dessert, we tried their yogurt and I can say that it was the best I tasted in my life. 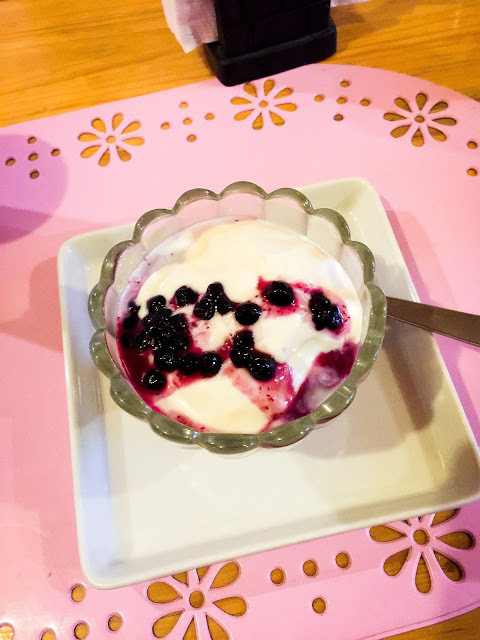 It was very creamy, not too sweet and not too sour. Hospitality is superb. 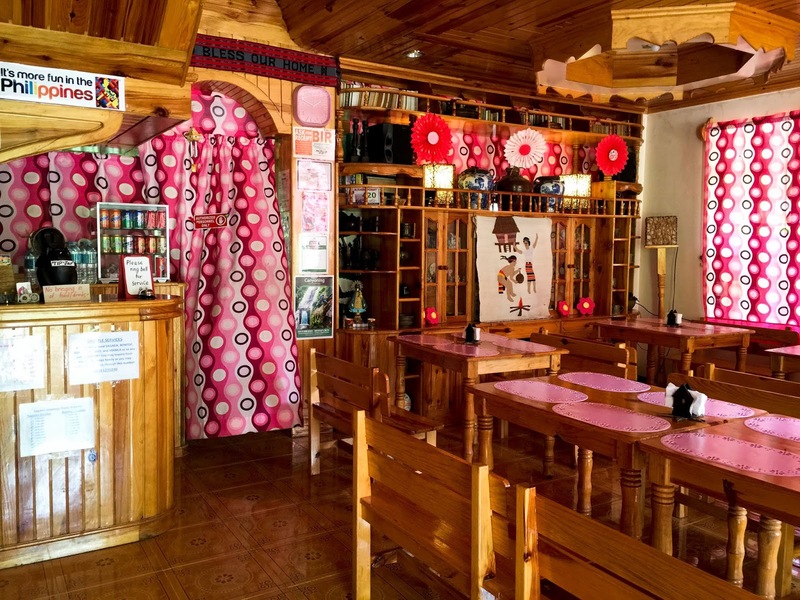 We were always attended to by their staff and made some small talks with us as we wait for our orders. 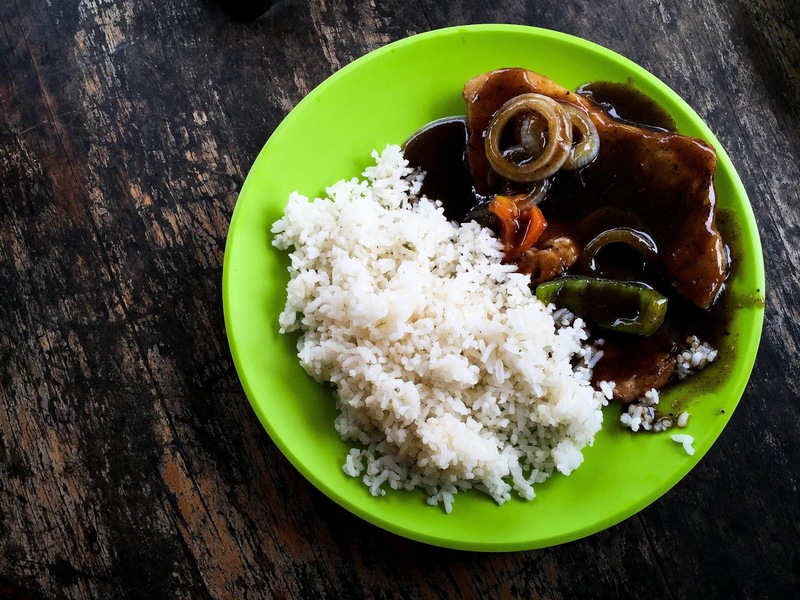 We were supposed to have our last dinner in Sagada at Gaia (made famous by the Film, That Thing Called Tadhana) but for some reason, they closed earlier that day so we asked our driver to take us to Rock Inn instead. It was a bit far from the main road and the narrow road leading to it was very bumpy. The restaurant was empty when we arrived but we didn't have to wait longer for someone to attend to us. We ordered Cream of Crab and Corn, Pork Sinigang, Grilled Bangus, Pinakbet, Sisig and a bottle of Bugnay Wine. Everything tasted good but nothing stood out. It also felt weird for us Manilenos that their Sinigang doesn't have kangkong. Service was fast and the 2 male (gay) staff were fun to talk to. They made the place alive despite it being almost empty. 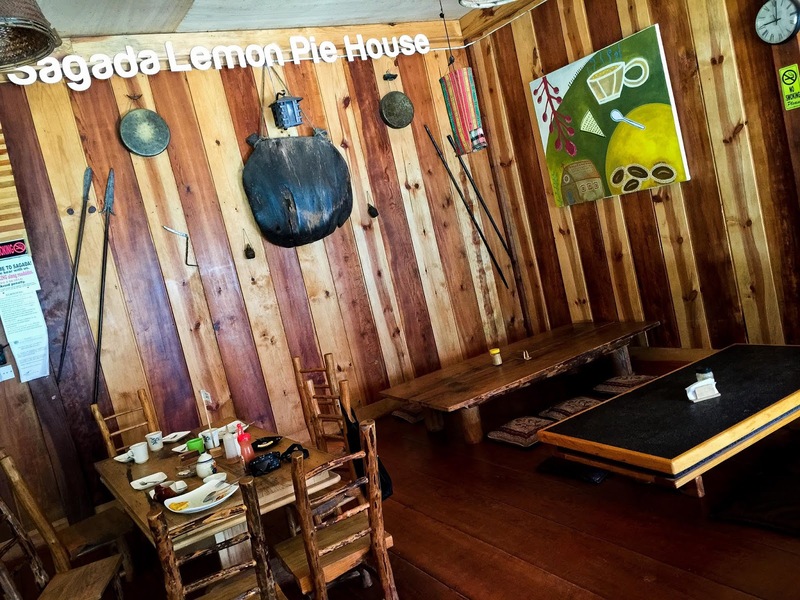 After our Echo Valley trek, we headed straight to Lemon Pie House. Guess we were too late for breakfast since they only had 2 breakfast meals left. So the group decided who's going to get the meals and the rest just order their famous lemon pie. I don't get why people rave about the pie. Some even order boxes to take home. 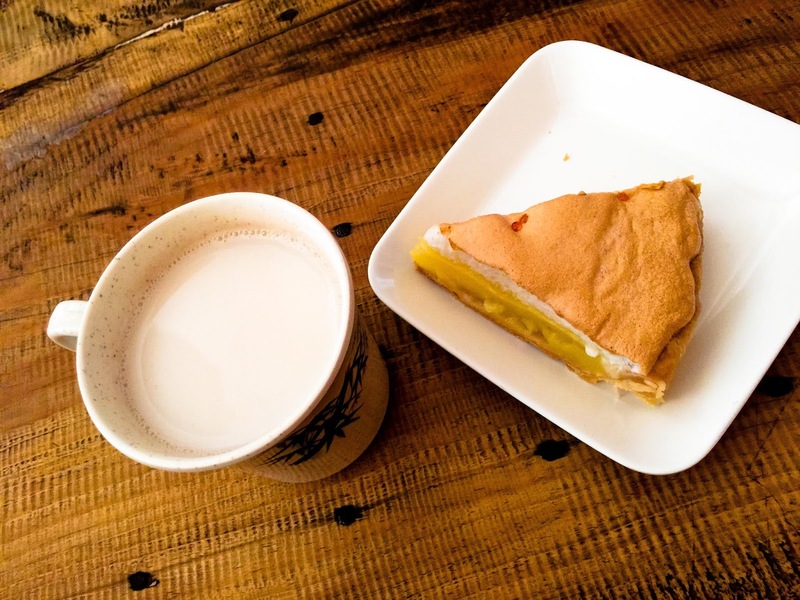 The crust was hard, the lemon curd was a bit bland, and meringue was too foamy. Maybe that was how a 30 peso lemon pie tastes like. Or I tasted a bad batch. But the egg pie was a let down too. But their Onion and Cheese Omelet meal made up for their bad pies. 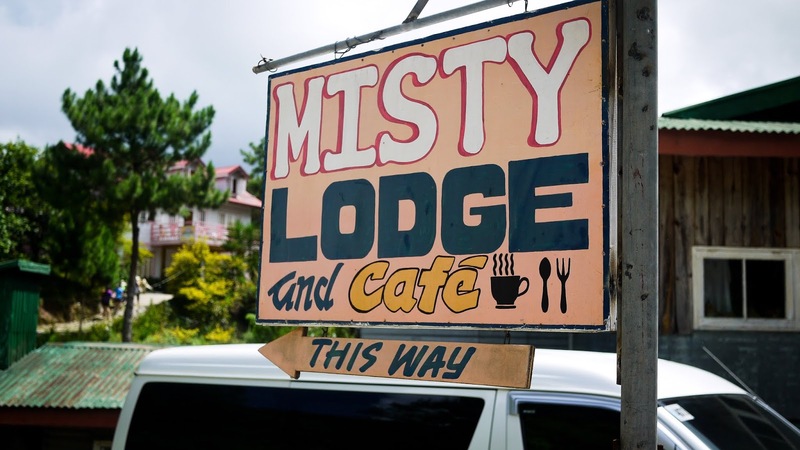 The cheese omelette is so good that I would propose that their restaurant name be changed to Sagada Omelet House. Haha. You may or may not agree with what I've said about the food and service of these restaurants. After all, we do not share the same taste buds. We did not visit the same restaurant on exactly the same circumstances so your experience might be totally different from ours. 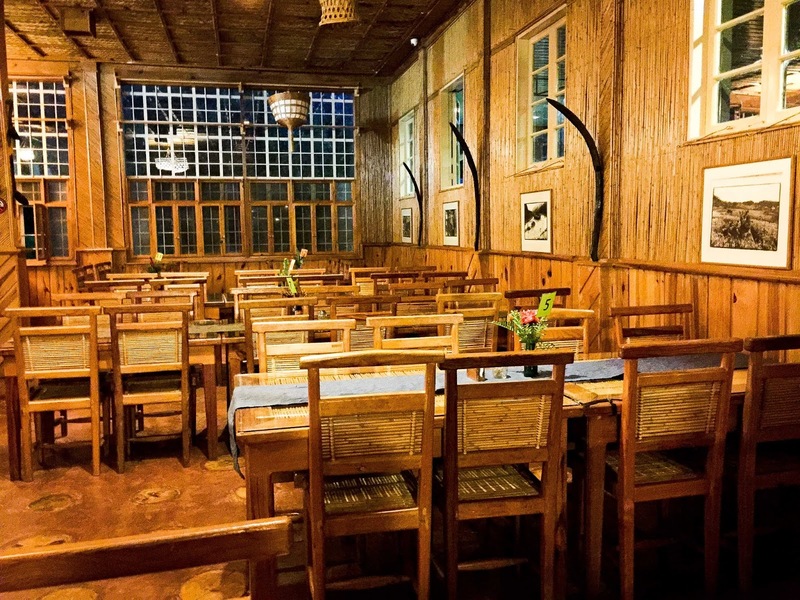 But given the chance to go back to Sagada, I would definitely eat at these restaurants again but only after I try Strawberry Cafe, Yogurt House, Masferre and Gaia.